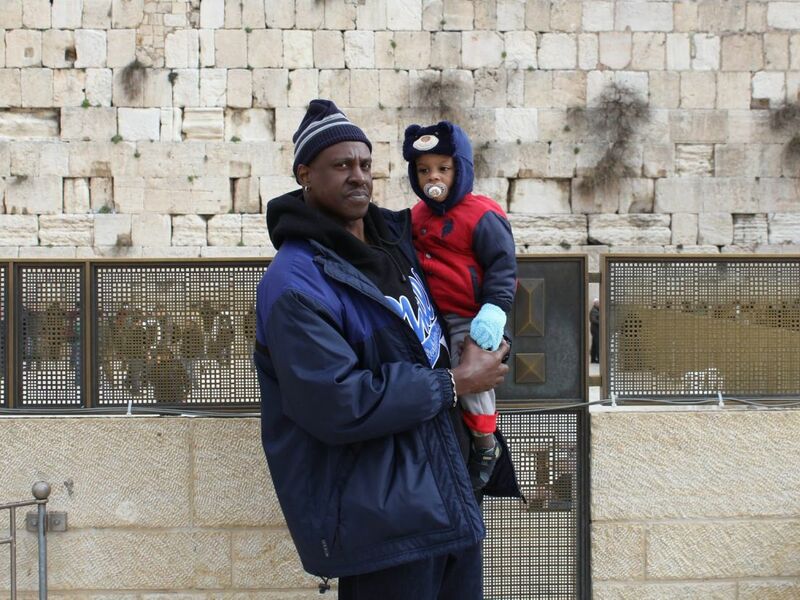 What brings African-American basketball players to live, play and bring up a family in Israel, of all places? 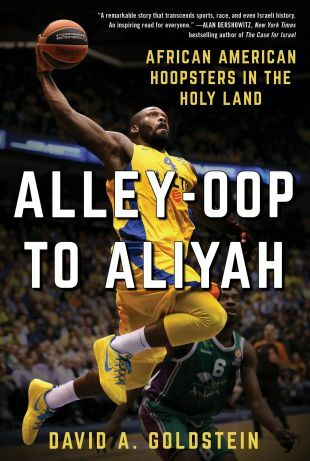 David A. Goldstein, a sports journalist, sports executive and lawyer, has decided to find out why so many black basketball players take a huge risk, pack their suitcases and fly off into the great unknown – known as Israel. How unknown? 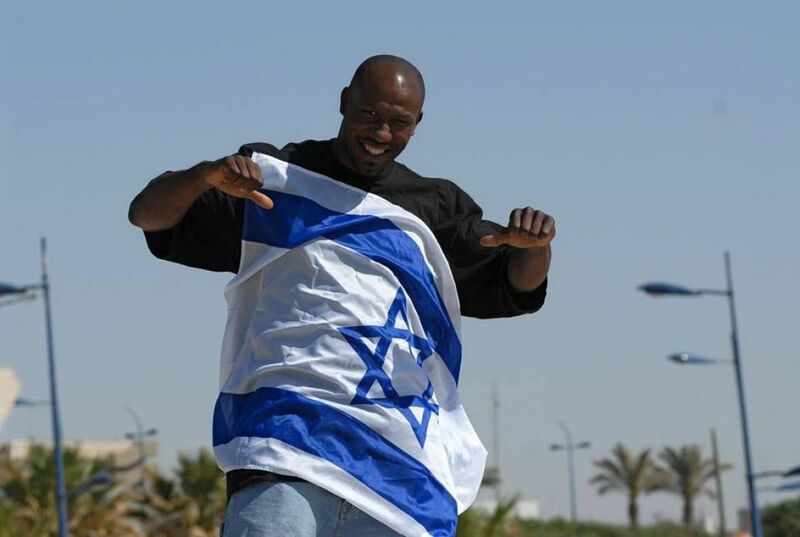 Well, before arriving in 1993, retired professional basketball player Derrick Sharp actually believed that Israelis walk the streets with camels and donkeys pulling their carts. It is also possible to find all the classic angles of foreigners in Israel: The weather (“When I arrived it was like wow, Israel! It felt like I was on vacation”), the security issue (“My mother told me she wouldn’t come visit, in the end I had to hit her over the head to put her on the plane to leave”), the food (“I eat hummus and falafel to this day”), and the legend of the Maccabi Tel Aviv basketball team (“There is nothing like this team in the United States”). But it is actually the less well-known aspects, the supposedly marginal anecdotes and the interesting assessments of Israel in general and Israeli basketball in particular, that are more fascinating than anything else. The book was almost not published. Goldstein told Haaretz he spent years trying to find a literary agent. Everyone wanted something similar to what had been successful in the past, but this book was unique and there was nothing else like it. In the end, Goldstein said, out of 198 queries he had four responses and accepted the first that was willing to take a risk with him when no one else would. Goldstein grew up in Canada, the son of an Israeli mother and a Jewish Canadian father. He visited Israel every summer and calls it a large part of his life – just like basketball. He quickly realized that he would not be a player. Before fulfilling every Jewish mother’s dream (today he is a lawyer and a professor of sports law at the University of Toronto), he studied journalism and covered the sport as a freelancer. The idea for the book came to him over a decade ago when he was visiting his grandparents in Jerusalem. It was when Anthony Parker, who previously had played in Israel, was playing for Toronto in the NBA and his grandparents’ friends couldn’t stop talking about him. 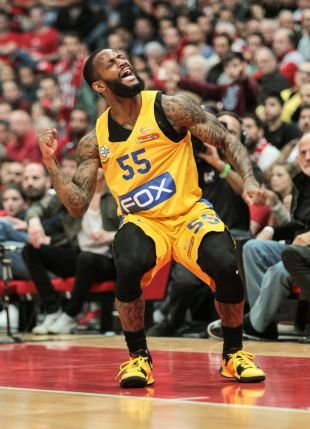 Goldstein said he was shocked because they didn’t talk about him just as a player or about how much he helped his Israeli team Maccabi Tel Aviv, but called him a mensch and felt connected to him as a person. This interested Goldstein and he decided to learn more about the relationship between African American basketball players and Israel because there were so many aspects to the story. What the book shows, time after time, is that most of the foreign players come and go, but when they are in Israel they experience everything along with the Israelis, at the same intensity and sometimes even more so. It could be the prominence of the Israeli army in society, Jewish holidays and bizarre customs (Why do we need to read so much before we get to the food on Passover? wondered Stanley Brundy), or even anti-Semitic protests against Israeli teams overseas (I can feel the Jews’ pain, said Cory Carr). Basketball – and sport in general – is much more than just a game. This book is not about basketball but about the way in which people from a different country and culture look at us after they have gotten to know us – not the basketball fans, commentators or players, but the people who make up the society, the mosaic of the nation. The unique aspect of this book is the perspective it provides: a mirror, a kind of glimpse into a hidden diary written by dozens of players. Some lived here for two to three years, others for over a decade, and others still live here to this day. And maybe this is the place to give ourselves a bit of credit: It turns out we’re not as terrible as we sometimes tend to think (as long as nobody has to stand in line with us at the bank or the post office). Golden stresses that the players like playing in Israel, having come to this clear conclusion after hundreds of hours of interviews. He says that it’s not only that they agree to a lower salary in order to play here, but that players actually talk about their desire to be ambassadors for the country, to tell others that Israel really isn’t what you see on television. What you see from over there is different here, or as Jeff Rosen, the owner of Maccabi Haifa, described it in the book, the mistaken idea that this country is under siege disappears the minute you go to the beach or buy a falafel at the Carmel Market. And the more time the players spent here, the more they switched from being onlookers to being diagnosticians. An example is Maceo Baston’s analysis of Israelis’ tense nature (he said that maybe it’s the way we have overcomeall the tragedies we’ve experienced), or the fact that it took Deon Thomas two years until he internalized that people weren’t shouting at him all the time (he said that it’s simply the tone here). It also turned out that if someone cuts you off at the next traffic light, it’s possible that it’s Stanley Brundy (he said he drives just like us now). Goldstein says that when he started writing, he was sure he would focus on players like Parker, Thomas and Andrew Kennedy, who played in Israel for a long time and returned to the United States. But then he realized that the more powerful story was that of those who stayed. The biggest surprise for him was the players who for all intents and purposes turned into Israelis, those who served in the army, whose children grew up as Israelis, who work here after retiring. He says that their identification with the country is what surprised him. When you read what Cory Carr says about the significance of Gilad Shalit’s release or about Fred Campbell’s kosher kitchen and sukkah, you realize how powerful this identification can be. Their take on Israeli basketball and Israeli players is also fascinating. The next time we wonder where the classic Israeli shooter has disappeared to, we should remember what veteran players like Carr, Campbell and Brundy say: that Israeli players don’t like to work, or prefer to fly to Thailand during breaks. In the context of the mirror that the book places in front of the industry, Goldstein skips almost no subject of importance, including the frequent changes in the quota of foreigners and even Pini Gershon’s “mocha speech” (in which he made racist remarks) – and for which he was forgiven by those who played for him (“Pini is Pini,” said Derrick Sharp). If there is one issue that appears high on every list of “Why foreign players love Israel” and receives only relatively modest coverage, it’s the importance of the nightlife and everything that goes with it. Deon Thomas was one of the only players who referred to it indirectly, in the part that discussed the relief the players felt when they heard English everywhere (he said that he had met several people who smoke marijuana, which is easy to find when you can talk to people, as opposed to the circumstances in other countries). From what was said on the other subjects, all in all, Israeli PR would be pleased. Not surprisingly, Goldstein said that the first thing he would do if he had to convince an African-American player to come to Israel would be to let him talk to those who were here – or still are. “All the things they say I can say too, but I’m a Jewish guy with an Israeli mother,” he says. “It may not sound credible compared to the stories of Campbell or Thomas.” Now there’s no need for that conversation. All you have to do is send them a book.